Healthy together... No Fat Cancer on those Bods !! Wanted to share about something recently read about. use. “Alarm” is probably more accurate. I’m also, normally, a pretty optimistic guy. a way is not exactly pleasant for me. I want you to read this message very carefully. home will be well worth it. … a least most common cancers. DOUBLED. In just 30 YEARS. based on their recent study. being obese, their bodies are FAR from okay. Yet that’s exactly what the data shows. the study, but there it was, plain as day. worst trend to catch on to. Okay… that’s a lot to take in. order out or scarf down that extra doughnut. Really… we don’t. Be honest. you “cure” the problem of excess bodyfat. It’s a symptom of a far worse condition. … that excess bodyfat IS a disease if you ask me. I say we stop calling it JUST a symptom. not call it what it is: A disease. Yet I’m not here to protect people’s feelings. How much of your LIFE are you using? out of such a precious and short gift. the risk for SO many ills. at time. Start with dietary changes. the third part for later. SIMPLE. you want every 3-4 hours. take a long walk afterward. Part 2 for good measure. I hope this message hits home with you. more than that, inspire you A LOT. P.S. Remember: You MUST keep it simple. that you start with ONE simple lifestyle change. Build on that for a few weeks. Then add light exercise… like I suggested. THEN you’ll see exactly how great you can feel. Live Boundrylessly ~ Live Healthy !! Just a note on going Beyond Lifes challenges. Today have a read for you about a woman who had not one but DOUBLE Life challenges. devastated me and my family). story on her small personal blog. encouraging comment, that would be awesome. site, that would be great as well. Here’s a great reason to enjoy some cheese with that healthy salad. Hmmm. Research says maybe so. A new German study suggests cheese is actually a cancer fighter. But before you pick up that slicer, you need to learn how to harness this superpower the right way so you don’t clog your arteries. Try this delicious recipe, then let me know what you thought, or even share your favorite recipes !!! 1. To prepare dressing: Whisk juice, vinegar, oil, mustard, salt, and pepper in a bowl. 2. 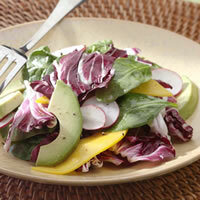 To prepare salad: Just before serving, combine spinach, radicchio, radishes, and mango in a large bowl. Add the dressing; toss to coat. Garnish each serving with avocado slices. By the way, will be including more on healthy thoughts along with the physical side. Let me know what you think. Appreciate your feedback Folks !!! Vitamin D can do What !?! Just had to share some AMAZING facts about Vitamin D…called The Sunshine Vitamin. Appears that it packs quite a punch against cancer…..reducing its effects by a staggering…50 %!!! That’s not a typo folks!!! Vitamin D influences more than 200 genes. This includes genes related to cancer and autoimmune diseases like multiple sclerosis. Vitamin D affects your DNA through the vitamin D receptors (VDRs), which bind to specific locations of the human genome. In recent years vitamin D has emerged as a star of the “vitamin” world. For example, there are currently over 800 studies showing vitamin D’s effectiveness against cancer. Optimizing your vitamin D levels can literally cut your risk of several cancers by 50 percent! Further, middle aged and elderly people with high levels of vitamin D could reduce their chances of developing heart disease or diabetes by 43 percent. How Does Vitamin D Do What it Does? Vitamin D is actually a “prohormone,” which your body produces from cholesterol. Because it is a prohormone, vitamin D influences your entire body — receptors that respond to the vitamin have been found in almost every type of human cell, from your brain to your bones. So what modern science has now realized is that vitamin D does more than just aid in the absorption of calcium and bone formation, it is also involved in multiple repair and maintenance functions, touches thousands of different genes, regulates your immune system, and much, much more. Just one example of an important gene that vitamin D up-regulates is your ability to fight infections, as well as chronic inflammation. It produces over 200 anti microbial peptides, the most important of which is cathelicidin, a naturally occurring broad-spectrum antibiotic. This is one of the explanations for why it’s so effective against colds and influenza. In addition, since vitamin D also modulates (balances) your immune response, it can prevent an overreaction in the form of inflammation, which can lead to a variety of autoimmune disorders, such as Crohn’s disease for example. When you consider the fact that you only have about 25,000 genes in your body, and vitamin D has been shown to influence nearly 3,000 of them, the bigger picture of its true impact on your health can be easily understood. However, it’s also very clear that unless you have taken specific measures to address it, the odds are overwhelming that you are deficient in this important nutrient. Vitamin D deficiency is a growing epidemic across the world and is contributing to many chronic debilitating diseases. There are a few reasons for this trend. First, most people spend far too much time indoors during daytime hours. You may also have also been seriously misled by “expert’” recommendations to avoid all sun exposure, and to slather yourself with sunscreen whenever you do go outside. Please understand that sunscreen will virtually eliminate your body’s ability to produce any vitamin D because it blocks the UVB radiation that causes your skin to produce it naturally. As a result, in the United States the late winter average vitamin D is only about 15-18 ng/ml, which is considered a very serious deficiency state. In fact, new studies show that about 85 percent of the U.S. population is vitamin D deficient. This is primarily related to the recent appreciation that your levels of vitamin D should be MUCH higher than previously thought. * Vitamin D deficiency is epidemic in adults of all ages who have increased skin pigmentation, such as those whose ancestors are from Africa, the Middle East, or India, who always wear sun protection, or who limit their outdoor activities. * African Americans and other dark-skinned people and those living in northern latitudes make significantly less vitamin D than other groups. * 60 percent of patients with type 2 diabetes have vitamin D deficiency. * Studies showed very low levels of vitamin D among children, the elderly, and women. * One nationwide study of women revealed that almost half of the African American women of childbearing age might be vitamin-D deficient. It’s absolutely tragic that dermatologists and sunscreen manufacturers have done such a thorough job of deterring people from the sun — your optimal source for natural vitamin D.
Other studies showed that you can decrease your risk of cancer by more than half simply by optimizing your vitamin D levels with sun exposure. When you’re out in the sun, be very careful about the length of your exposure. 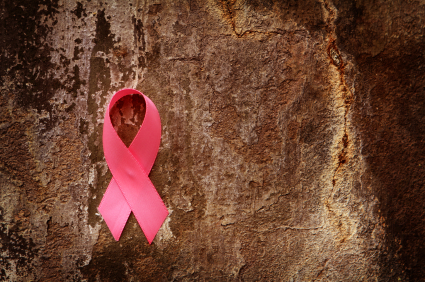 You only need enough exposure to have your skin turn the lightest shade of pink. This may only be a few minutes for some. Exposures any longer than this will not produce any more vitamin D but will accelerate photo aging and increase your risk for non-melanoma skin cancers like basal and squamous cell cancers. Another option is to use a safe tanning bed, again paying attention to not getting burned. A few months ago I found out that a carotenoid extracted from algae called astaxanthin can be extremely useful in preventing and eliminating sunburn. Interestingly, this is the antioxidant in krill that prevents it from being damaged. What current research is showing is that if you are on 2 mg of astaxanthin for a month, it becomes very difficult to get sunburned. Additionally, it also appears to prevent the development of the most common form or blindness, age-related macular degeneration, as well as cataracts, and most likely protects you from EMF when you are flying or being exposed to diagnostic X-rays. The key though is that it takes weeks to build up in your tissues, so you can’t just swallow a few pills prior to your exposure and expect to receive any benefit. Astaxanthin is also fat soluble and needs to be taken with some fat or you simply won’t absorb it. Vitamin D Supplements: How Much Should You Take? It is wise to consider oral vitamin D3 supplementation during the winter months, or year-round if you haven’t time or sufficient access to the sun or a safe tanning bed. It’s true, there are no definitive studies on the optimal daily dose of vitamin D, but based on studies on healthy indigenous peoples, many vitamin D experts now agree that most adults, including pregnant women, require about 5,000 IU of vitamin D daily for optimal health – or 35 IU’s of vitamin D per pound of body weight, which is certainly well above the current RDA. That said, although these recommendations may put you closer to the ballpark of what most people likely need, it is impossible to make a blanket recommendation that will cover everyone’s needs. The ONLY way to determine how much you might need is by testing your blood level of vitamin D.
This is in fact a very important aspect of optimizing your vitamin D levels that you should not skip over. Because while overdosing on vitamin D from sun exposure is highly unlikely as your body has a built-in “failsafe” feedback loop, which will tend to shut down production when your levels are healthy, it IS possible to overdose when taking supplements. So you need to be careful when using oral vitamin D therapy and make certain you have your blood levels checked. Many of you may choose to ignore this warning, but I am telling you in no uncertain terms that while vitamin D has enormous potential for improving your health, it has significant potential to worsen it, if you use it improperly. The OPTIMAL value of vitamin D that you’re looking for has recently been raised to 50-70 ng/ml, with even higher recommended levels required for more serious disease prevention, as shown in the chart below. The only caution is to use Lab Corp, as tests done at Quest are consistently falsely elevated due to a different assay. I hope you can see now some of the many benefits of vitamin D, and why it is so critical to make sure you and your family maintain healthy levels at all times. Please take this opportunity to use one — or more — of the options I’ve suggested for getting your daily dose of vitamin D. Optimal vitamin D, however you get it, can literally make the difference between a lifetime of chronic disease and one of vibrant health and vitality. works the lungs, while toning the internal organs with deep breathing !!! Here’s to Living Boundrylessly !! !